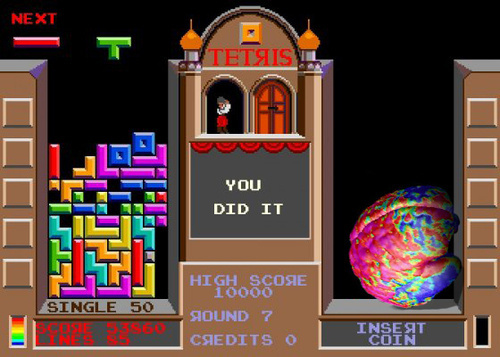 Richard Haier says that Tetris makes your brain more efficient because it helps develop some parts of it. I wonder, if its too late to play some Tetris though? A neuroscientist, Richard Haier says that any challenging visuispatial task will affect it. The previous study from 1992 showed that some parts of the brain used less glucose as the subjects get more experienced with the game. Te new study, now uses more precise imaging techniques to check for any sort of brain changes.